What would you like to know about your family, but never thought to ask? What have you always wanted to ask, but never found the right time? What stories do you have to share with your family and loved ones? 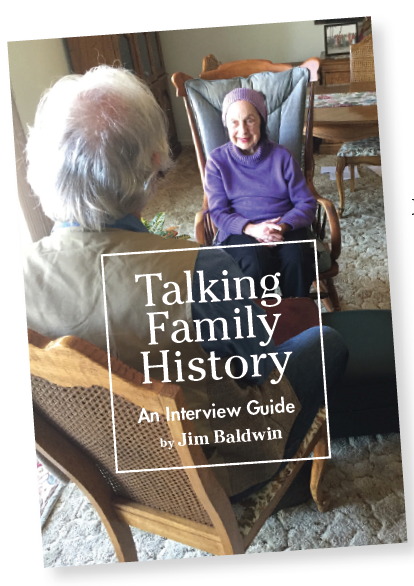 My guide, Talking Family History, is a gateway to a process of collecting and preserving precious stories from your family’s past or from your own life—guided autobiography. In it, I offer tips for setting up an interview with a parent or loved one, more advice for making the actual event a success, and a catalog of questions that can be tailored to fit any occasion. In volume two, I also provide writing exercises for creating an independent life history. A fifteen-minute consultation with me is included in the initial cost of $25. Following that, I am available for an hourly fee.